Body art is a highly respected form of individualistic expression. Getting a tattoo is a commitment in its own right, a commitment to a certain sentiment or memory that you hold dear in your heart. You are willing to carry it proudly for the rest of your life and cherish everything the tattoo represents. A lot of people use tattoos for this exact purpose, but there are plenty of folks out there who are willing to degrade their body by using tattoos just as a joke. 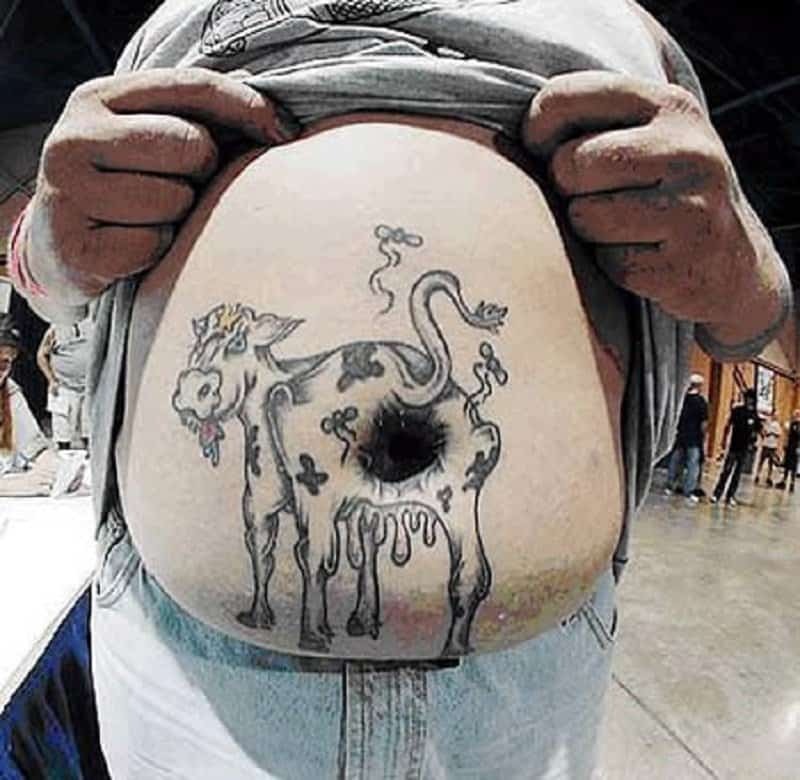 Here is a list of 10 truly strange and bizarre stomach tattoos that people have actually gotten. 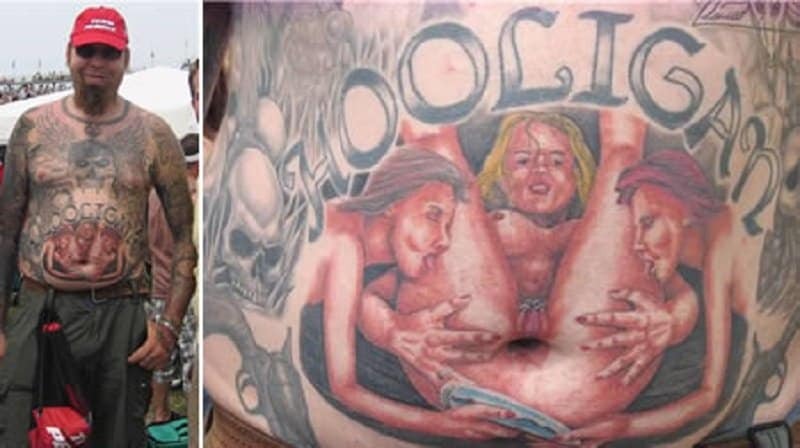 It seems this guy wanted to make use of his bellybutton somehow, and decided to get a tattoo of a women in a rather obscene position. 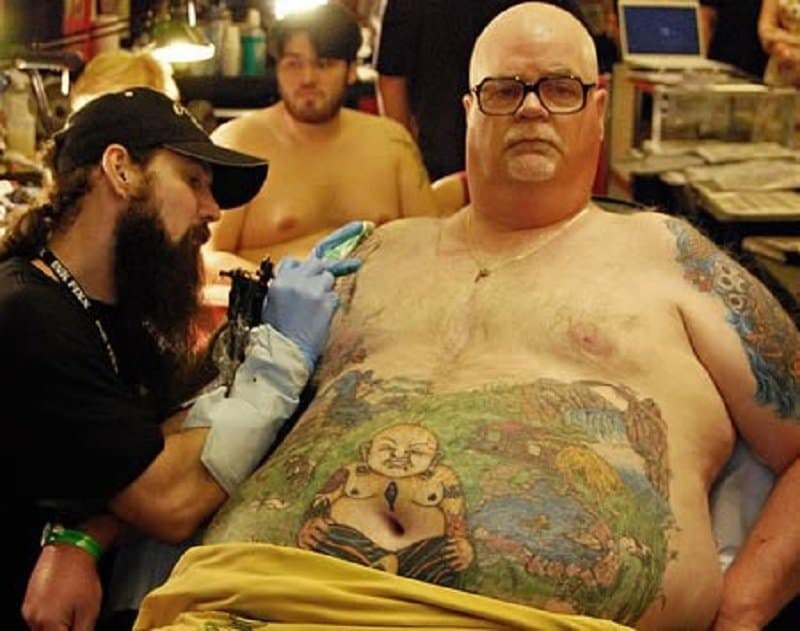 Does this person actually respect Buddhism and all that the Buddha represents, or is he simply using his belly button as an excuse to get this tattoo? 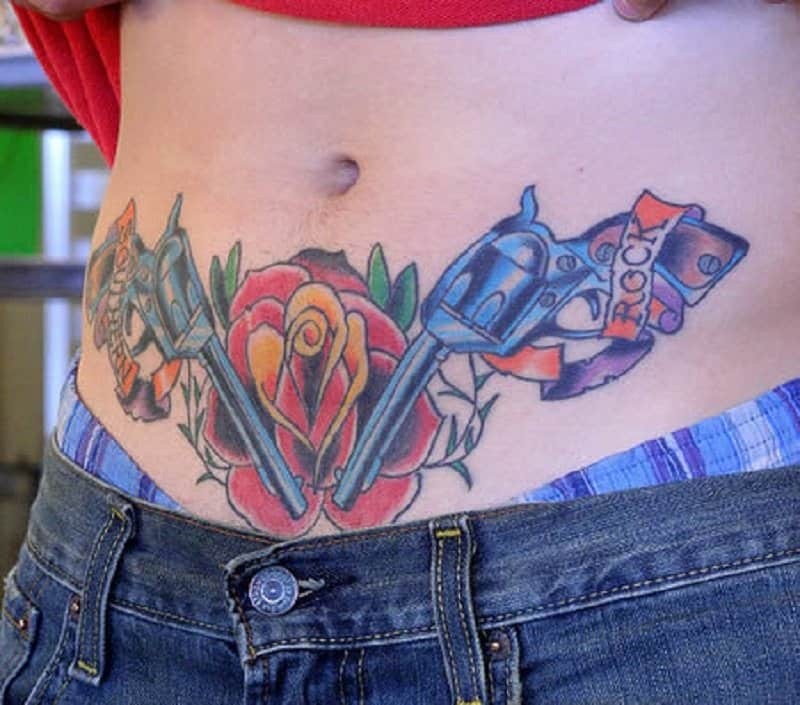 Being fascinated to a form of sexual exploration is fine, but do you really need to get a tattoo of that? Too bad the band isn’t completely together anymore and their music has dipped to the category of mediocre, or else this would have been a fairly decent tattoo. This tattoo managed to single-handedly tarnish all my great memories of a beloved cartoon character. 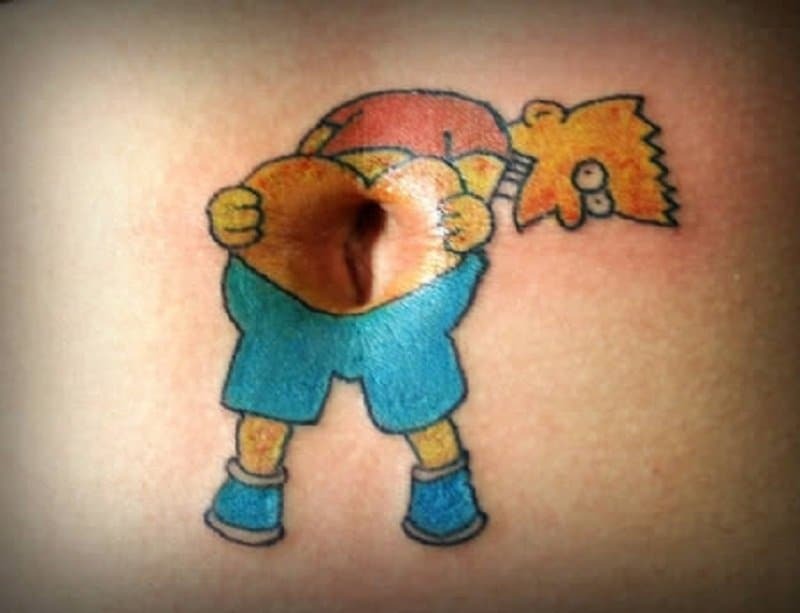 Even Bart would not have approved of this tattoo! 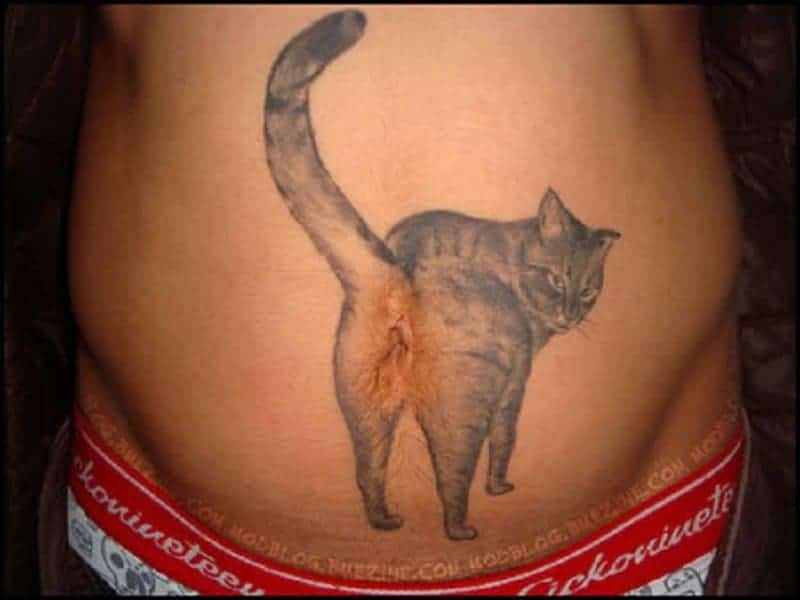 I have no idea what kind of person would think that getting a tattoo of a cat showing us its behind is a good idea. 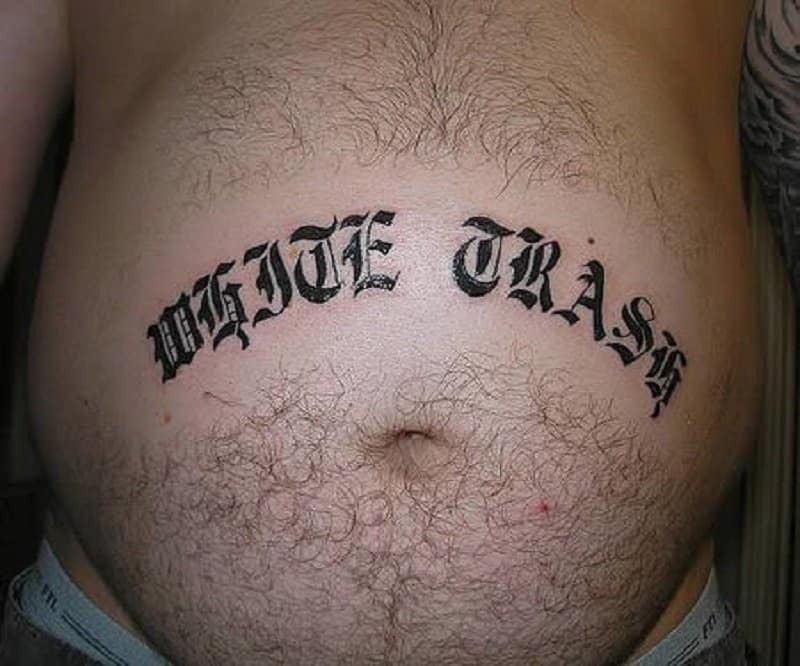 If you look like white trash, you smell like white trash, and you have tattoo on your belly that says white trash, then you are probably white trash. 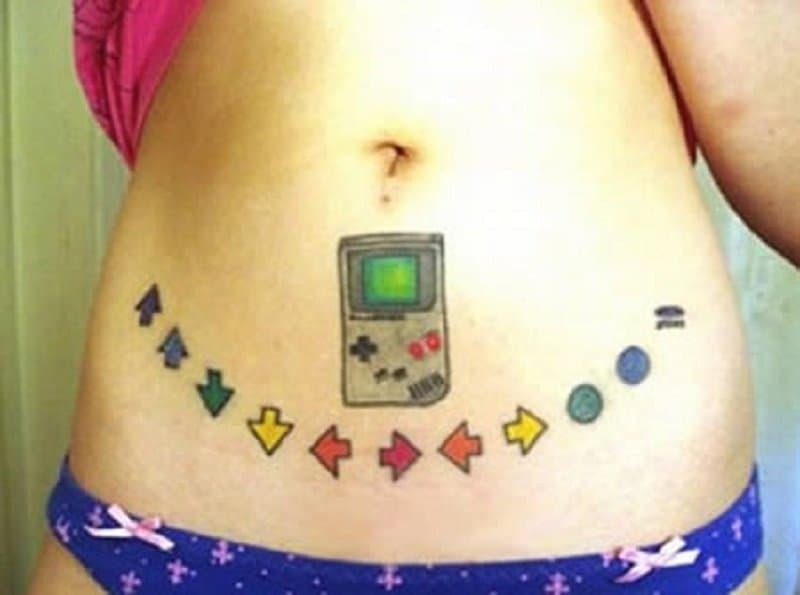 What is this tattoo even supposed to represent? The evolution of gaming? Our life being pre-programmed? I don’t get it at all! 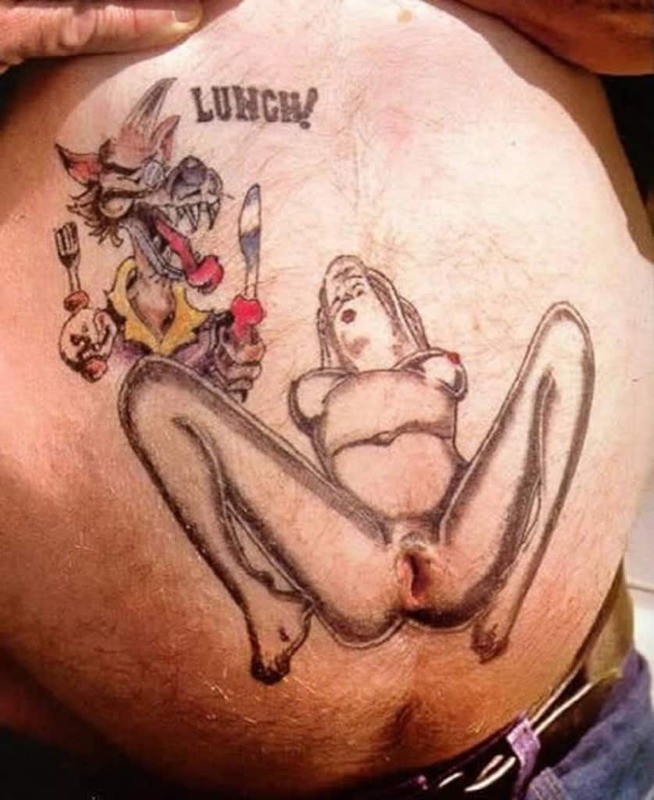 This tattoo might be disgusting, but look at the size of that belly button! Holy cow! 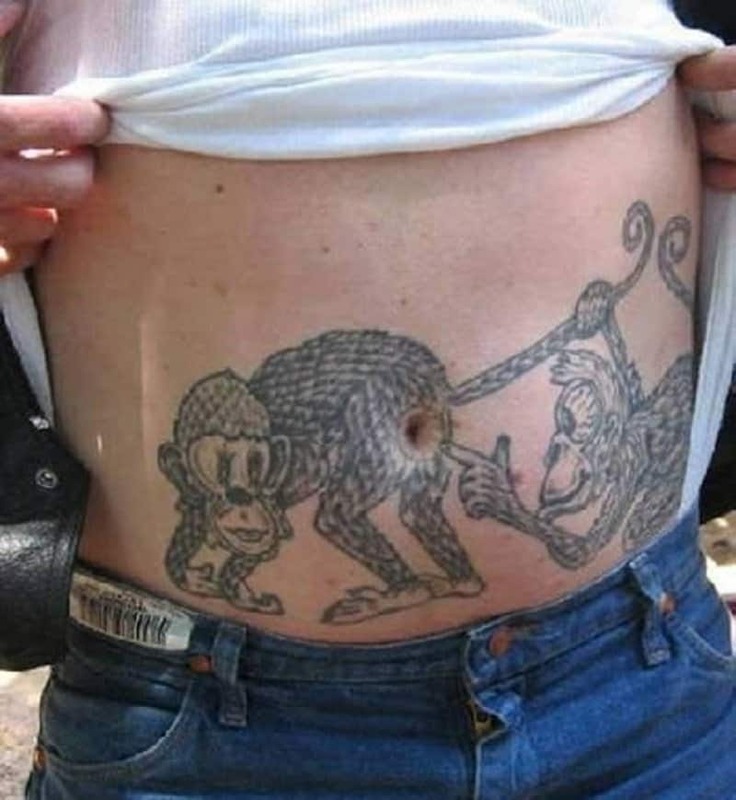 What kind of woman would ever want to be with a man who has a tattoo of two monkey’s touching each other inappropriately? The answer is an imaginary woman.